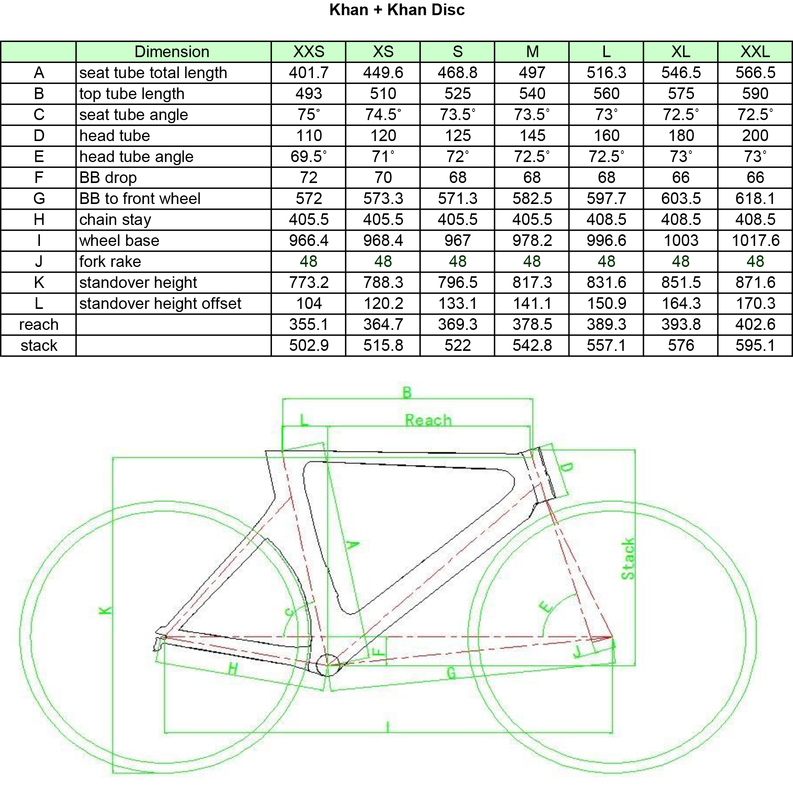 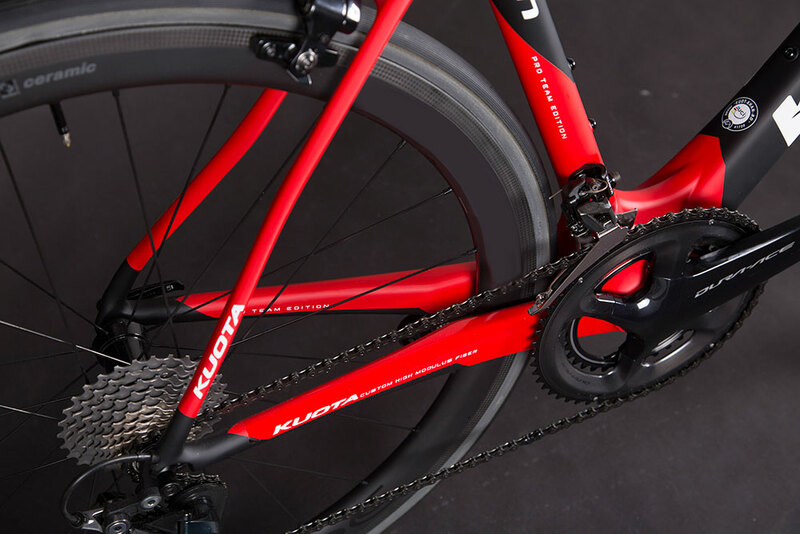 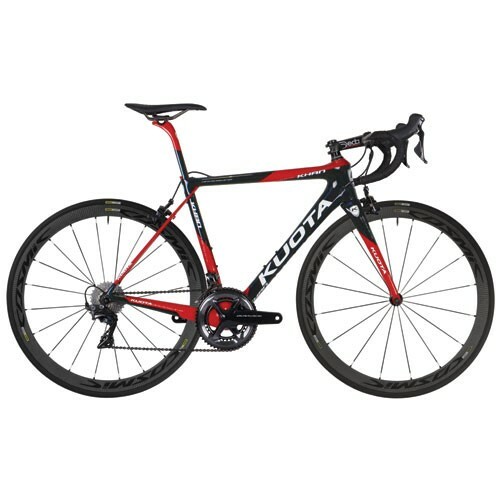 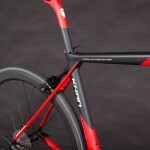 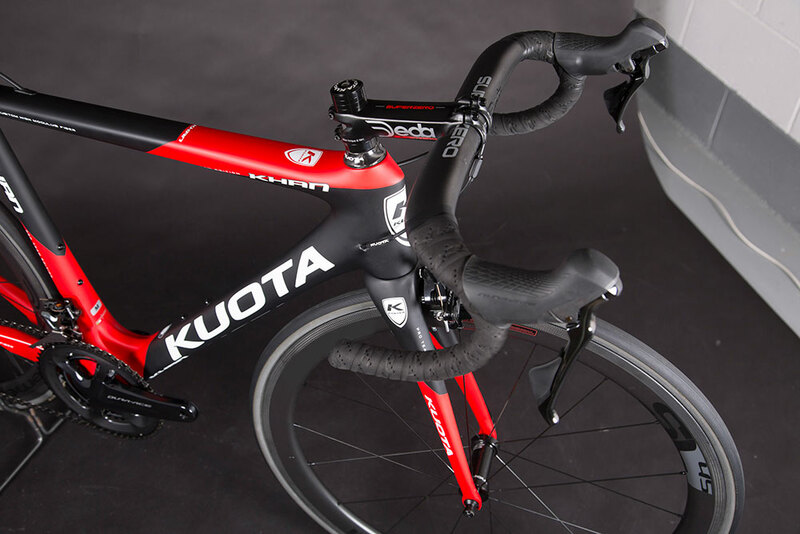 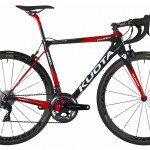 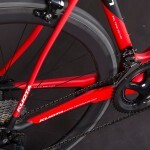 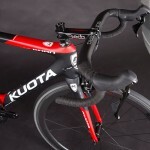 The new Kuota Khan is probably the most performance focused frame in the world today. 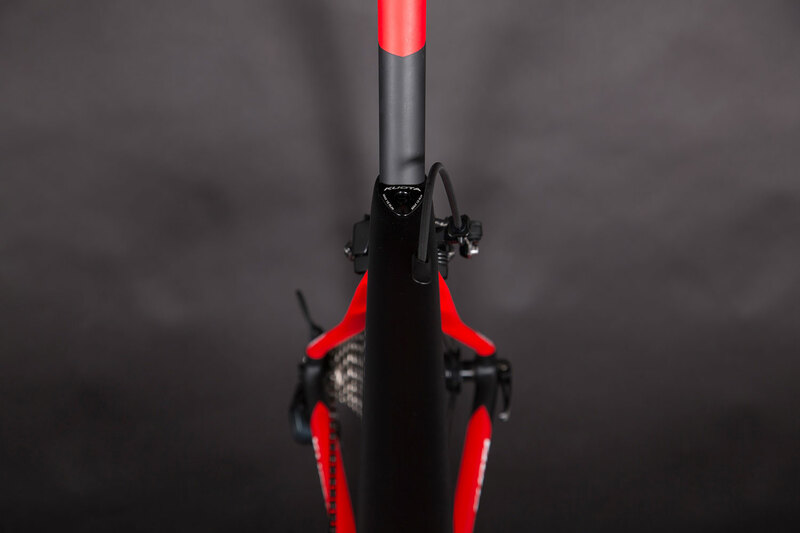 Developed with new 1K HM carbon fibre and new innovative moulding techniques, it provides unrivalled performance. 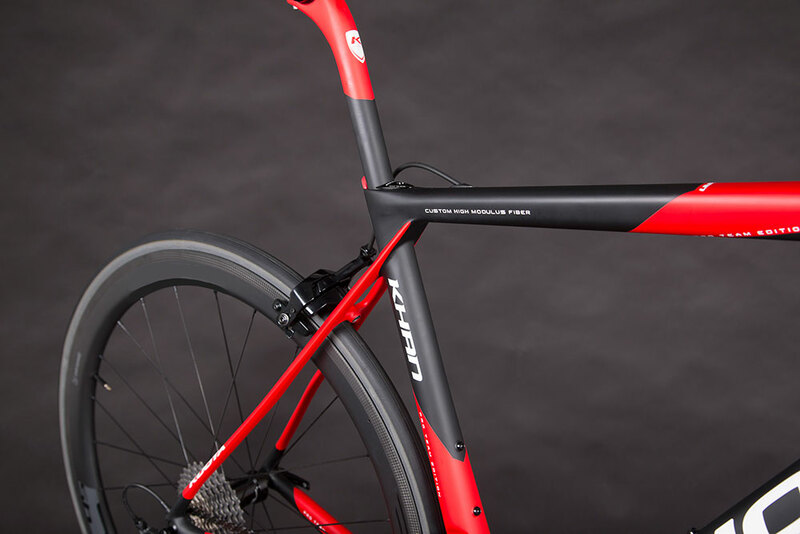 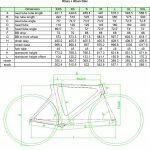 This new project, with its clever fork and rear triangle design, improve road vibration damping whilst maintaining excellent torsional stiffness. 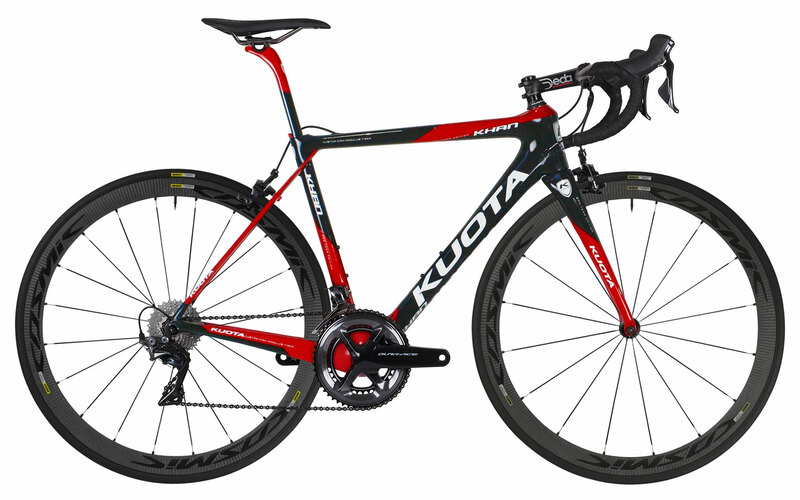 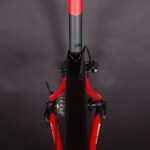 It has proven extremely popular with the Italian Pro team, Androni, who helped to develop and test the product. 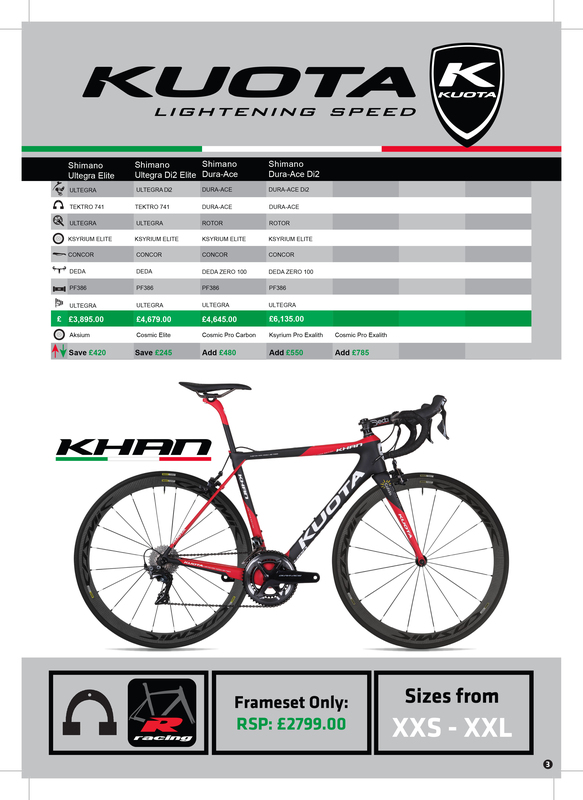 Watch out for the French Cofidis team in this season’s top pro races, where the Khan will be put to test in the demanding events like Paris Roubaix and the gruelling Tour De France.